Keith Clifton has been in business as a dancer, teacher, and choreographer for the last two and a half decades. He has performed in five Dr. Pepper comercials, three for Wendy's as well as commercials for Dodge, MacDonald's, Levis and many more. He has performed on the stage in musicals including 42nd Street, George M, Oliver, My Fair Lady, A Chorus Line, and Anything Goes, for which he won the Dramalogue's Critics Choice Award for Best Choreography. His television credits include apperances in The Academy Awards Show, the Tim Conway Show, The Carpenter's, Wolfman Jack, and David Copperfield. Keith has also traveled as a guest artist to perform with regional ballet companies in lead roles such as: The Nutcracker, Copepelia, Swan Lake, and Firebird. He has staged and directed the entire Nutcarcker ballet for The Irving Ballet of Dallas, Texas. In 1993 Keith was commissioned to restructure the entire jazz and tap syllabus for the New Zealand Association of Modern Dance. He is a co-founder of the Edge Performing Arts Center in Los Angeles and LA Danceforce Convention. We are excited to have Keith back as part of our faculty for DDI 2018! We are excited to have Eddie back as part of our faculty for the second year in a row! Will Thomas has been seen dancing on stage with Disney’s Raven, The Jonas Brothers, and The Cheetah Girls, as well as Shontelle Layne and Kid Rock in the Detroit Lions Thanksgiving Day NFL half time show. Will’s acting/dancing can be seen on the television shows “Nashville”on ABC, “Hit The Floor” on VH1 and in Subway’s “Frat House Musical” web series. Ellen Degeneres had Will be a body double for Bill Clinton on her show, which he thinks is pretty funny. 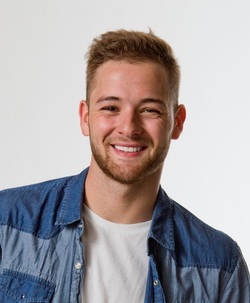 You can also see Will in “Real Life: The Musical” on the Oxygen Network, “Parenthood” on NBC and as a contestant on “So You Think You Can Dance” on FOX where he was one of the top 4 guys of season 9. Soon after that he toured North America with the SYTYCD season 9 cast. Some of Will’s favorite achievements are working with Rihanna on FOX’s “X Factor,” Taylor Swift for the 2014 MTV/VH1 “Video Music Awards” and Ariana Grande for a flash mob at Universal City Walk. Currently Will is assisting and teaching for L.A. Dance Magic and has been invited to teach in studios all over North America. This summer, you can see him in the New York Spectacular Starring Radio City Rockettes! Will continues to train in all styles of dance and acting because there is simply no other way of life for him but what he does. He lives by the motto Dance, Laugh, Love and Repeat. We are excited to welcome back Will to our lineup of extraordinary teachers! We are thrilled to welcome Oklahoma Native, Eloise Kropp to the DDI family! Eloise’s Broadway credits include Cats (Jennyanydots), Dames at Sea (Ruby) & On the Town (Claire u/s). Other credits include City Center Encores!, Goodspeed Opera House, Papermill Playhouse & the Kennedy Center in DC! Most recently you may have caught her tapping away as a guest teacher on tour with New York City Dance Alliance or as Val in The LEXington Theatre Company’s production of A Chorus Line. Sarah can be seen in ABC's Once Upon A Time, Date My Dad (UP), So You Think You Can Dance (FOX) , and in various independent films, music videos, and commercials. She’s currently developing a long form dance TV series through her production company, Coal Harbour Pictures. Sarah's on stage credits include: Joseph and the Amazing Technicolor Dream Coat, Once Upon a Mattress, and Mark Morris New Love Song Waltzes. Sarah is a sought after master teacher and choreographer who is passionate about creating job opportunities for her students. She’s currently on faculty at Broadway Dance Center in NYC and works with leading youth, pre-professional, and professional companies worldwide. Sarah, along with her husband, J. Alex Brinson tour throughout the US, Canada, and over seas teaching across multiple educational platforms. We are excited to have Sarah to our lineup of extraordinary teachers for DDI 2018! Whitney's contagious spirit, enthusiastic attitude and exceptional choreography have put her in high demand as a master class teacher and choreographer around the nation. Most recently she traveled the nation with Nickelodeon’s wildly popular Yo Gabba Gabba! Live as the Assistant Choreographer and Dance Captain. She has also been the choreographer for the Reckson Center Christmas Tree Lighting, starring and Johnny Weir from the Olympic Men's Figure Skating Team and Shiera and Loli's Ditty Doodle Works on the CW Television Network. While choreography and teaching are Whitney’s passion, she also loves to perform and entertain. She has been fortunate enough to work with artists such as NeYo, Snoop Dogg, Kerry Russell, Cold War Kids, The Roots, Bootsy Collins, Biz Markie, Sarah Silverman, Erika Badu, Solange Knowles and Freddie Prince Jr.Her theater/live credits include: All Shook Up, Kidz Bop Live, Xbox Kinect Times Square Launch, Elan Awards honoring Anne Reinking, Jerry Mitchell and Rob Marshall, The Best of... Broadway, Dance Break, Pajama Party Live, and NYC Promos for Looney Tunes the Movie as Daffy Duck. Television: Lucille Roberts Fitness, Sheira & Loli’s Ditty Doddle Works and One Life to Live, but Whitney is most excited about being a part of the 2010 White House Easter Egg Roll! We are excited to have Whitney back as part of our faculty for DDI!